Westhead St James East Window. The Magnificant East Window of St James Westhead. Westhead St James Church, was formerly St James, Lathom. Westhead was once considered but a hamlet within the confines of a sprawling Lathom village, as the hamlet expanded it obviously grew in size and population. Today its population is greater than that of Lathom has significantly more housing although not the acreage. St James Church provides us with ‘war memoria’ not often seen together in one location. Whilst in common with most Anglican churches it provides a war memorial to the dead of the village, often accepted as the Village War Memorial. However not only does it have also magnificant testimony to war in The East Window as does St Johns Burscough, it also provides proud testimony to the men of the village in the form of a ‘war memorial’ to those men who served then came home, as does The Wesleyan Church in Derby St, Ormskirk. The combination of window plus ‘those who served’ memorial is not often found, indicative of the pride of a small village and respect of one man for those employees from his company who did not return. James E Lyon Kings Regt. Clement W Ford Kings Own Royal Lancaster. The panels above are in the lower corners of the East Window, donated by Mr & Mrs Tyrer in everlasting memory of the men who were employed in his company and fell during The Great War. The best and the last ! The additional or corrected information shown below is gathered from military archive sources ie CWWG. Soldiers Died in The Great War. Medal Cards. Obituaries from news archives owned by the editor of this website archive ‘War Memorials’ Is so reproduced in the belief of being correct. Any transgressions are therefore done in good faith and regretable, any corrections would always be welcome with supportive evidence. Name legend. Kia,Killed in Action. Dow, Died of Wounds. Mia, Missing in Action. All personnel are assumed buried in theatre unless missing, or died at home. During both wars no service personnel were repatriated after death. If any of the men named below is of interest to you please contact the secretary. 95653 Pte Thomas Alty. Aged 32. Tank Corps. Kia 23.11.1917. Cambrai Memorial. Husband of Lily Jane Alty 142 Sussex Road, Southport. Eldest Son to fall of Daniel & Catherine Alty 45 Wigan Road, Westhead, Ormskirk. 3304t1 Pte John Whiteside 1/9th Kings Regt (T F) Kia 25.9.1916. Theipval Memorial. Lt Henry Alty D.C.M 9th Kings Kings Regt Kia 30.9.1918. Anneaux Brit Cemetery, nr Cambrai. 2353 L/Sjt William Farrington. Aged 31.1/9th Kings Regt (TF) Kia 8.10.1915.
son of Joseph & Jessie Roughley of Westhead, Ormskirk. Belived to be … Sjt William John Guy. Aged 33 Mentioned in Dispatches. attd 1/1 Highland Div HQ. Son of Willam & Emily Guy of Romford, Essex. Husband of Flora Alice Guy of Forest Gate, London. Served in South African War. 24524 Pte Henry Orritt. Aged 29. 2nd Manchester Regt. kia 11.7.1917. Son of Henry & Mary Orritt of Scarth Hill. Son of Hannah Birchall, 37 Wigan Road, Westhead, Ormskirk. 266867 Pte James Bradshaw.10th Royal Welsh Fusiliers 16.6.17 Duisans British Cemetery, Etrun. Drv Henry Johnson Army Service Corps no accuarte information. Second son of 2/ Lt Daniel Alty. DCM. Aged 31. 9th Kings (TF) kia 30.9.18.
attd 2nd South Staffordshire Regt. Vis en Artois Memorial. Husband of Mary Jane Alty 33 Wigan Road, Westhead, Ormskirk. Below 58476 Pte T Dixon Kings Regt. Buried St James Churchyard Westhead. Not commemorated on the Church Memorial. Death Certificate of Pte T Dixon cause of death given as Influenza / Pneumonia. 995875 Abel Barton Flt Sjt RAFVR, age 24. Died 22.2.1945. Son of Abel & Mary Barton of Lathom. Buried St Paul’s Churchyard, Skelmersdale. Husband of Mary Agnes Bracegirdle, son of Joseph & Margaret. Buried St Anne’s R.C. Churchyard Ormskirk. Thomas Bracegirdle, RAF Regiment, was one of at least 15 RAF personnel killed or died from wounds on 23 Jan 1945 when a V2 fell on the main camp of RAF Stapleford Tawney, Essex. A/S D/SSX 16368 Walter Bullen. Aged 29. H.M. Submarine Parthian. Husband of Lilly Bullen of Dundee son of Robert & Harriet Helen Bullen. HMS Parthian was refitted in U.S.A. from late 1941 until March 1942. After this refit she went back to the Mediterranean and was used for supply runs to Malta. In May 1943 HMS Parthian (Lt. M.B. St. John, RN) sank several Italian sailing vessels while operating in the Aegean. HMS Parthian (Lt. Cyril Astell Pardoe, RNR) is presumed mined in Adriatic late July / early August 1943. Having sailed from Malta on 22nd July for patrol west of Greece in the southern Adriatic. She was ordered to patrol off Otranto on 26th July 1943. She was again given a new area to patrol on the 28th. She was reported overdue at Beirut on 11th August 1943. Most likely she was mined off Brindisi. The date given as lost (11 August 1943) is the date she was reported missing. A/S D/JX 238575 Reginald Dobson. H.M.S Repulse kia 10.12.1941. John William & Hannah Dobson of Westhead. In late 1941 Winston Churchill decided to send a small group of fast capital ships, along with one modern aircraft carrier to Singapore, to deter expected Japanese aggression. 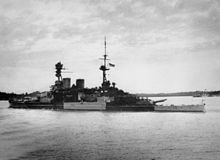 In November, Repulse which was in the Indian Ocean was ordered to Colombo, Ceylon to rendezvous with the new battleship HMS Prince of Wales. The carrier HMS Indomitable which was assigned to join them was delayed when run aground in the Caribbean. Prince of Wales and Repulse and their escorting destroyers comprised Force Z which arrived in Singapore on 2 December 1941. On the evening of 8 December Force Z departed for an attempt to destroy Japanese troop convoys and protect the army’s seaward flanks from Japanese landings in their rear. Force Z was spotted during the afternoon of 9 December by the Japanese submarine I-65 and floatplanes from several Japanese cruisers spotted the British ships later that afternoon and shadowed them until dark. Admiral Sir Tom Phillips decided to cancel the operation as the Japanese were now alerted. Force Z turned back during the evening, after having tried to deceive the Japanese that they were heading to Singora. At 5:00 a.m. on 10 December Admiral Philips received a signal of enemy landings at Kuantan and correspondingly altered course so that he would arrive shortly after dawn. The crew of Japanese submarine I-58 spotted Force Z at 2:20 a.m., reported their position, and fired five torpedoes, all of which missed. Based on this report the Japanese launched 11 reconnaissance aircraft before dawn to locate Force Z. Several hours later 86 bombers from the 22nd Air Flotilla based in Saigon were launched carrying bombs or torpedoes. The crew of a Mitsubishi G3M “Nell” reconnaissance bomber spotted the British at 10:15 a.m. and radioed in several reports. The pilot was ordered to maintain contact and to broadcast a directional signal that the other Japanese bombers could follow. The first attack began at 11:13 a.m. when 250 kilograms (551 lb) bombs were dropped from eight G3Ms from an altitude of 11,500 feet (3,505 m). The battlecruiser was straddled by two bombs, then hit by a third which penetrated through the hangar to explode on the armoured deck below. This inflicted a number of casualties and damaged the ship’s Supermarine Walrus seaplane, which was then pushed over the side to remove a fire hazard. Anti-aircraft fire damaged five of the Japanese bombers, two so badly that they immediately returned to Saigon. In the ensuing attacks, Repulse was skillfully handled by her captain, Bill Tennant who managed to avoid 19 torpedoes as well as the remaining bombs from the G3Ms. However, Repulse was then caught by a synchronised pincer attack by 17 Mitsubishi G4M torpedo bombers and hit by four or five torpedoes in rapid succession. The gunners on the Repulse shot down two planes and heavily damaged eight more, but the torpedo damage proved fatal. At 12:23 p.m. Repulse listed severely to port and quickly capsized with the loss of 508 officers and men. The destroyers HMS Electra and HMAS Vampire rescued the survivors. The wreck site was designated as a ‘Protected Place’ in 2002 under the Protection of Military Remains Act 1986, 60 years after her sinking. Survivors described five torpedo hits on Repulse, four on the port side and one on the starboard side. The four portside hits were: two amidship, one abreast of the rear turret and one near the propellers. The starboard side hit was amidships. A 2007 diving expedition confirmed two of the hits by examination of the wreck: the portside hit near the propellers and the starboard hit amidship. The portside midships section of the wreck was buried in the ocean floor thus the hits there could not be confirmed. The area abreast of the rear turret was accessible and no sign of a torpedo hit was found. 13098946 Bmbdr John Hadfield. Agd 47. Kia 4th Maritime Regt RA. Plymouth Naval Memorial. Son of James & Edna Hadfield. Dvr 164134 John Cyril Haselton RASC Died 20.2.1946. Buried Celle War Cemetery, Celle, Gernany. 647867 LAC1 Leslie Martlew. Aged 21. RAF. Died 5.4.1941. Singapore Memorial. The son of Thomas Ernest & Martha Martlew of Westhead. The son of John & Sarah Roughley of Lathom. Buried St James Churchyard, Lathom. Australian Flight Sergeant Max K Cummings and his crew had only recently been posted from 467 Squadron (5 Group) based at RAF Bottesford Leics, to join 83 (Pathfinder) Squadron at Wyton Cambs and had successfully returned from a night operation to Cologne on the previous morning of 17/06/43. The following day 18/06/43, they were detailed to take off from Wyton in a different aircraft at 1010hrs for what was officially recorded as “daytime bombing practice.” Notably, the regular seven crew members were joined by two ground technicians for this flight, suggesting that trials of or conversion to new equipment was the true purpose of this sortie. Perhaps even the “new boys” on the squadron had been picked on for this impromptu task! The exact chain of events are unclear and the official cause of the crash is apparently not in the public domain, but on this particular morning, Lincolnshire was covered in low cloud and eye-witness accounts on the ground saw ED 439 descending below the low cloud-base and losing height fast, the aircraft struck a glancing blow to the roof of an unoccupied farmhouse at Highgate Farm, Swaton, near Scredington Village which lies about seven miles to the south east of Sleaford, it then crashed into the fields immediately behind the houses, ploughing into a copse and disintegrating in a ball of flames. As locals on the ground approached to see if they could assist, they quickly realized that the crew was obviously way beyond help. Across the field, a trail of debris and remains lead to the fireball in what was left of the flattened copse. Ammunition from the aircraft was also starting to explode, further endangering those on the ground. The doomed Lancaster had flown low over the local schoolyard where Mr Neil Trotter was a pupil, Mr Trotter’s father was an RAF regular, stationed locally and Mr Trotter himself went on to serve in the RAF post-war. As the aircraft passed over them, he clearly remembers seeing the rear escape hatch open and an airman with his legs dangling out as if preparing to jump, suggesting they knew they were in trouble but not realizing how low they were. The crash site was very close to the house in which the Trotter family were living at the time and Mr Trotter’s mother was one of the locals who rushed out to see if any help could be offered, she only told him of the deeply upsetting things she saw in the field that day when he was much older. After the remains of the crew had been recovered, the crash site was guarded by airmen from nearby RAF Cranwell, but as a naturally curious boy Mr Trotter went debris hunting and recalls the only recognizable piece of aircraft was a wheel strut and wheel with a fully inflated tyre still attached, which he found two fields away from the main crash site. Later, on the same day as ED439 crashed, the skipper Flight Sergeant Cummings promotion and commission to pilot officer was confirmed. Sergeant Roughley trained as an observer earlier in the war before the more specific heavy bomber crew positions were established, so on his brevet he would have displayed the “O” character denoting that he was trained in both navigation and bomb aiming disciplines. On this particular flight he occupied the bomb aimer’s position, but in his CWGC citation he is listed as a navigator. On the 16/06/2013 a memorial to the crew of ED439 will be unveiled at Scredington Village Church, Lincolnshire. Pilot Pilot Officer 408904 Max Kieran Cummings RAAF (age 30) Victor Harbour, New South Wales Husband of Kathleen Helen Cummings Son of Edward Joseph and Lizzie Florence Cummings Buried at Grantham Cemetery, Lincolnshire. (Prob’) Observer (in Navigator’s position) Sergeant 537936 Francis William Wilcox RAF (age 24) Gorton, Manchester Unmarried Son of Bernard and Minnie Wilcox Buried Manchester (Gorton) Cemetery. Flight Engineer Sergeant 6765 Henry Whitfield Luker RAAF (age 24) Cleveland, Queensland, Australia Unmarried Son of John and Helen Mary Luker Buried Henley on Thames Cemetery. Observer (in Bomb Aimer’s position) Sergeant 1431821 John (Jack) Roughley RAFVR (age 21) Westhead, (Lathom), Ormskirk, Lancashire Unmarried Son of John and Sarah F Roughley Buried in Lathom (St James) Churchyard, Westhead, near Ormskirk, Lancashire Remembered on the village war memorial, Westhead, near Ormskirk, Lancashire. Wireless Operator Sergeant 1336708 Harry William Cheshire RAFVR (age n/k) No further information Buried Wimblington (St Peters) Church, Cambridgeshire. Mid-Upper Gunner Sergeant 1588938 Norman Woodcock RAFVR (age 19) Whitchurch, Shropshire Unmarried Son of Samuel Massey and Eva Woodcock Buried Whitchurch Cemetery, Shropshire. Rear Gunner Flight Sergeant R/113958 Robert Allan Taylor RCAF (age 25) Lower Derby, New Brunswick, Canada Unmarried Son of Robert and Isobel Taylor Buried Grantham Cemetery, Lincolnshire. Wireless Technician Corporal 1544915 Francis Neville Sloss RAFVR (age 19) Bangor, County Down, N. Ireland Unmarried Son of Francis Alexander and Alice Mary Frances Violet Sloss Buried Bangor Cemetery, County Down N. Ireland. W R Chorley Bomber Command Losses (1943) The Commonwealth War Graves Commission database (online) Various RAF historical reference points (online) Eye witness account of crash and local information from Mr Neil Trotter, who has done much to research the circumstances of this incident and to bring about the commissioning of the memorial to the crew of ED439. The above text is prepared and presented in good faith on an entirely non-commercial basis by myself, a private individual as an act of remembrance and is to the best of my knowledge and belief an accurate summary of the information available to me at the time of writing. 1070012 L A Thomas Welding. Aged 33. RAFVR. Died 6.5.945. Buried Ambion War Cemetery, Indonesia. Husband of Agnes Waring, the son of William & Elizabeth Waring of Lathom.